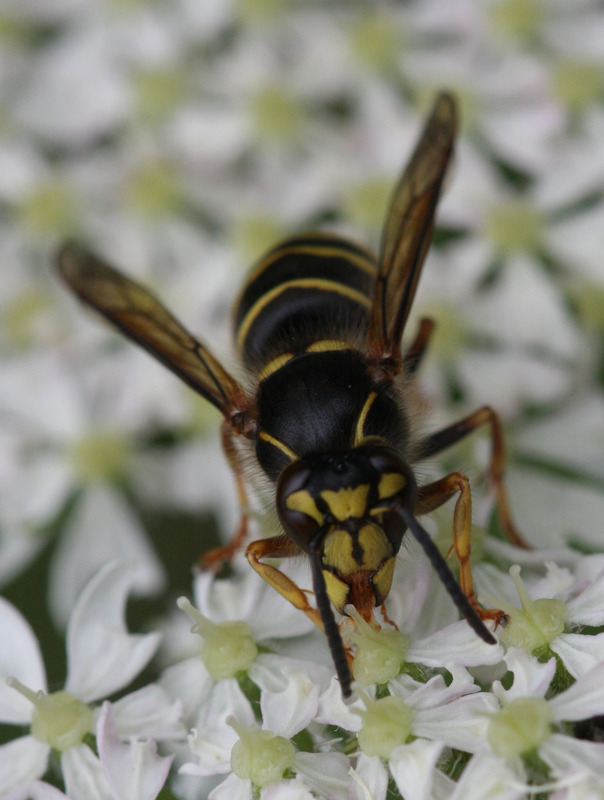 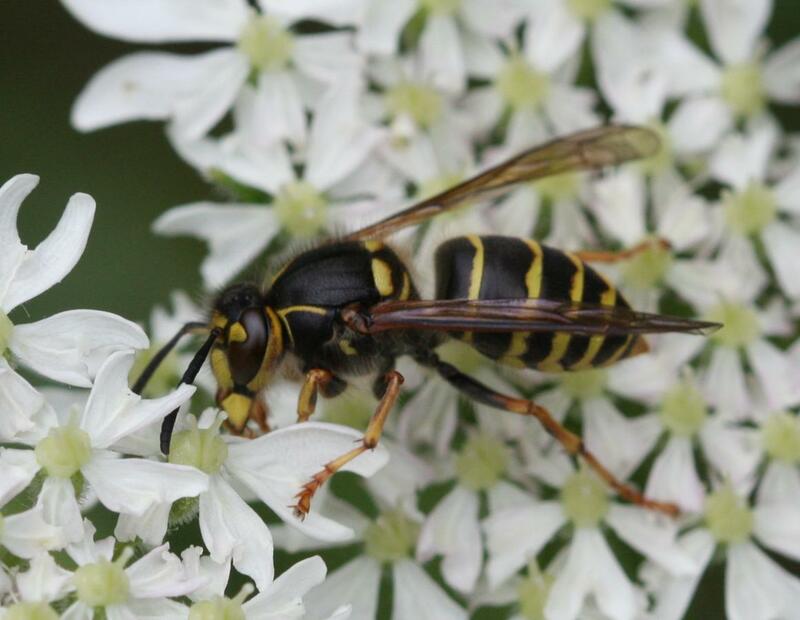 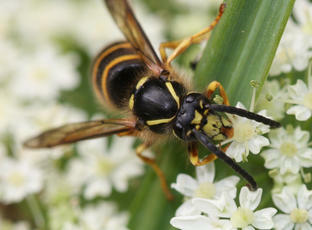 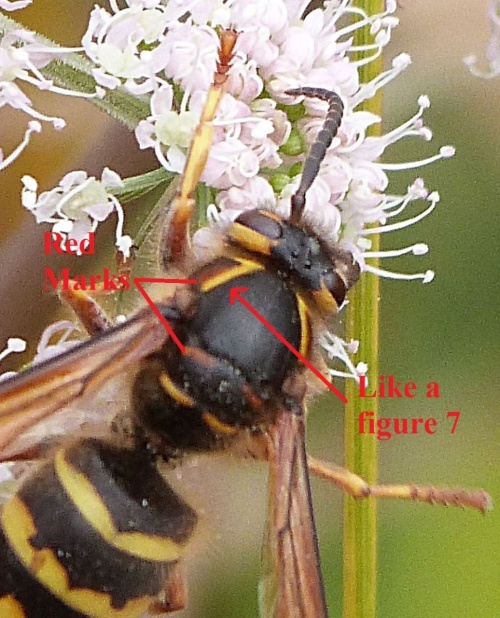 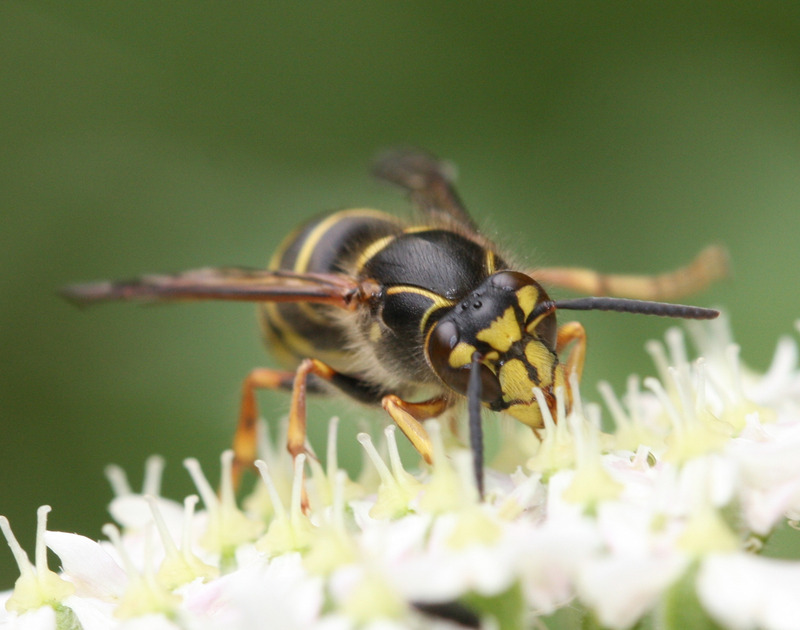 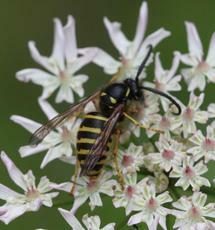 The Median Wasp can be distinguished by having 4 yellow spots on the thorax, which is often tinged red, especially in the female. 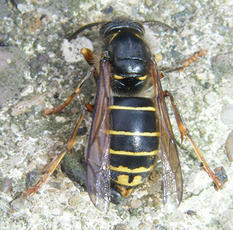 It also has yellow 'tick' marks on its shoulders. The face has a slim black bar. Antennae are yellow at the base. 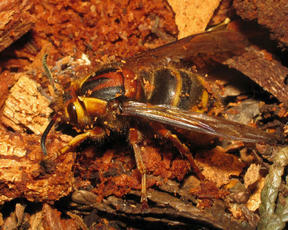 The abdomen often (but not always) has more black than other species with very thin yellow bands. 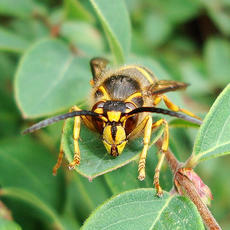 It can be seen foraging around any areas with bushes and trees that support a nest. This European social wasp builds its hanging nest in trees and bushes. The workers collect nectar for themselves to eat but hunt other insects to feed to the queen and to larvae. 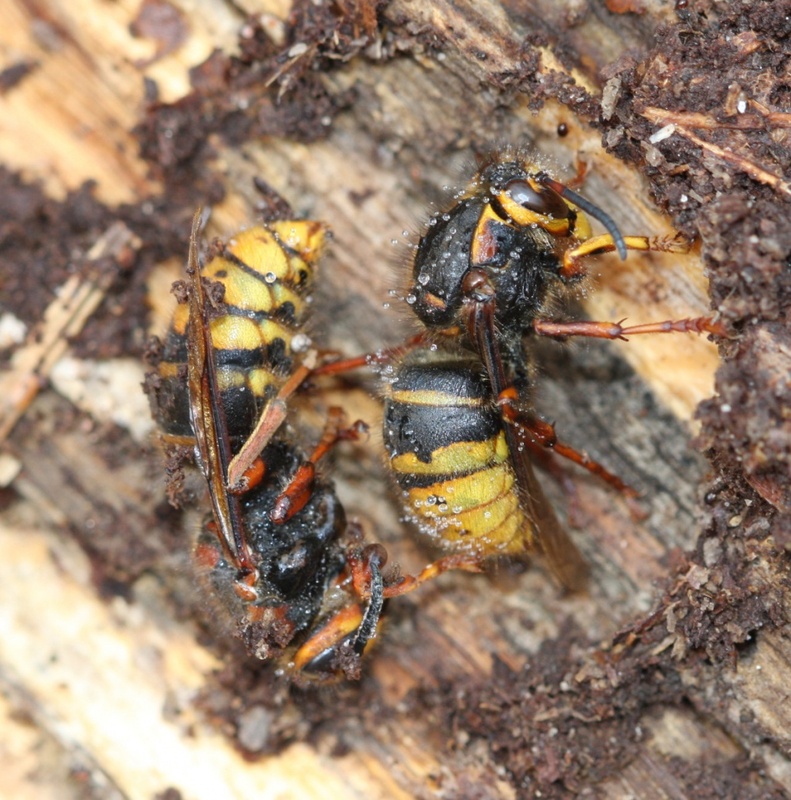 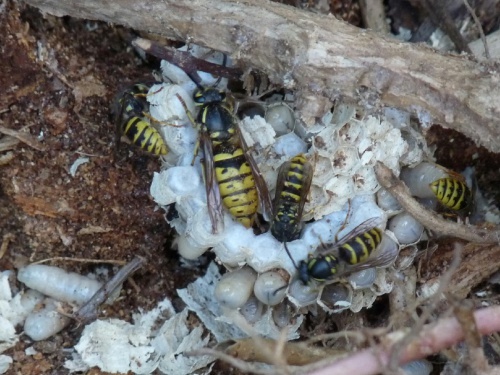 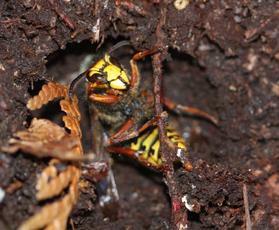 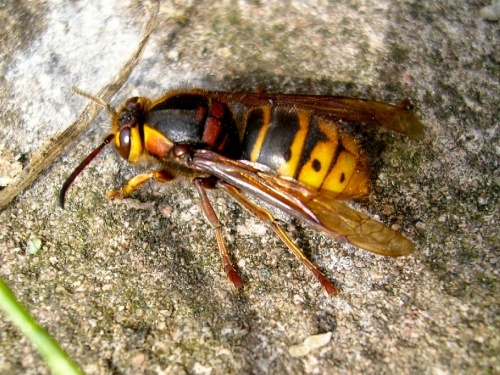 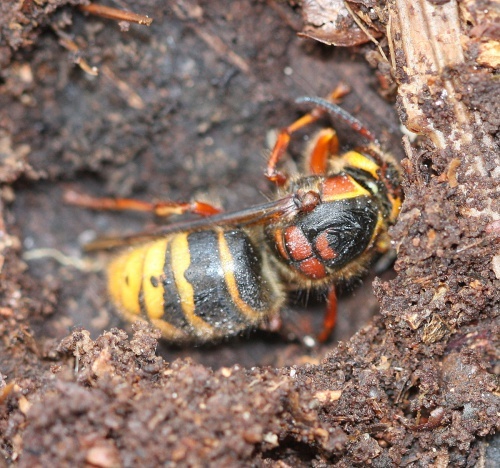 Like most wasps, only the queens survive the winter to start up new colonies in the spring. 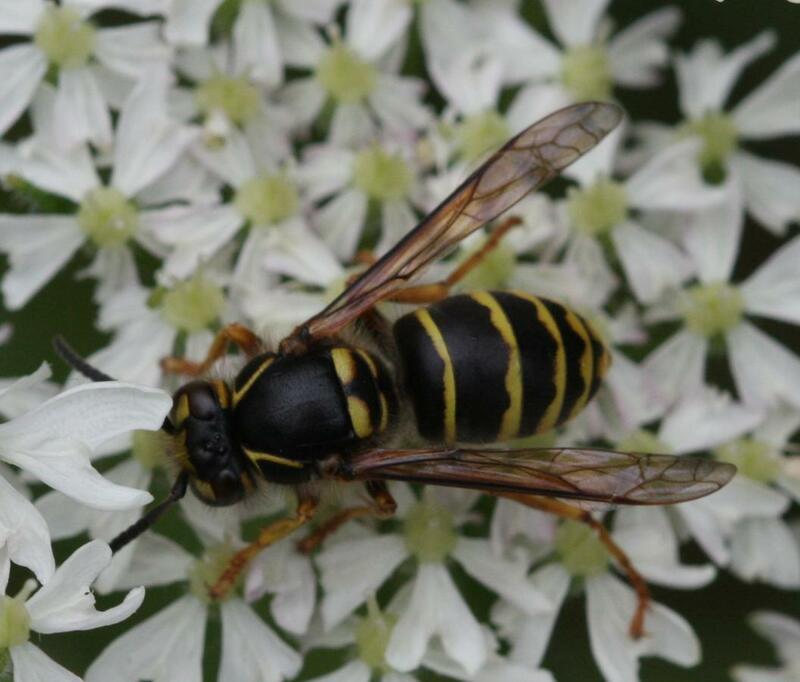 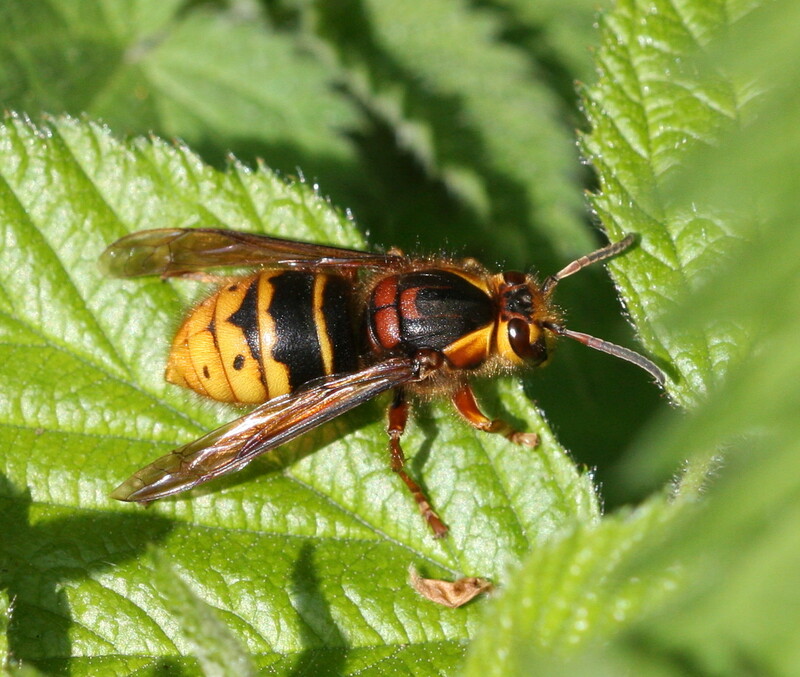 Dolichovespula media only arrived in England in the 1980s and is slowly expanding its range northwards and becoming more common. 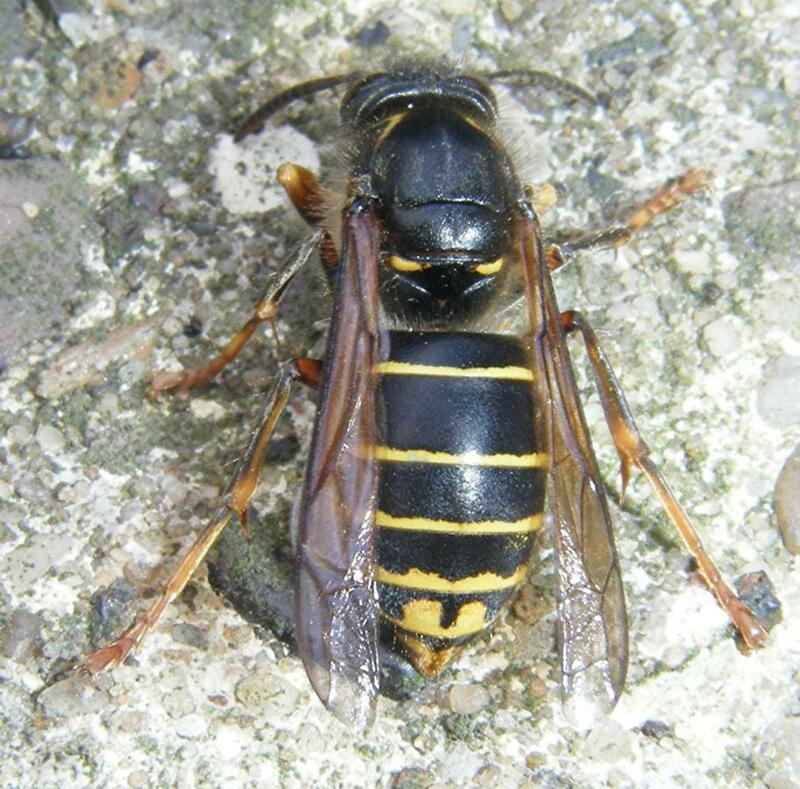 It has now been recorded over the border in Scotland.